Dog Days of Summer End Today and Dad’s 70th Year Begins | What is ML Reading? It also happens to be my father’s 70th birthday. So in celebration of him, I’ll share two books. One he read to me and I read to him many times as a child. The other makes me think of Dad. 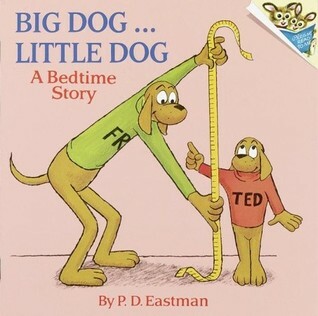 Dad probably read me Big Dog, Little Dog a hundred times as a child. Then, listened to me read it two hundred times. It was a favorite. ML and I are visiting Georgia this fall. I’ll pack Big Dog, Little Dog so ML can read it to her Papa. 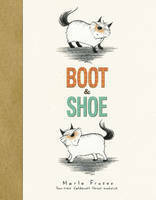 Boot & Shoe by Marla Frazee reminds me of Dad. The dogs live in the country. One stays on the front porch all day. The other stays on the back porch. Well, until a squirrel leads them astray. Dad grew up in the country and retired there. He doesn’t have a front porch dog or a back porch dog. But there is a cat that hangs around, except when my brother’s dog comes to visit. This entry was posted in Picture Book and tagged Big Dog Little Dog, Birthday, Boot & Shoe, Dad, Dog, Marla Frazee, P.D. Eastman by mlreads. Bookmark the permalink. Pingback: “Guess what Ms. Baker’s giving me for my birthday?” | What is ML Reading?